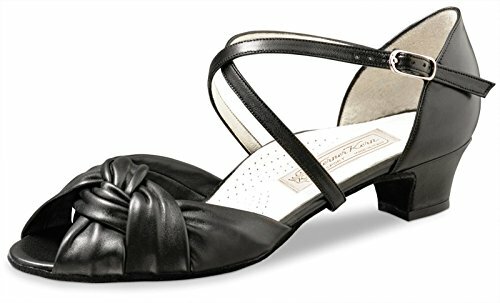 Fantastically comfortable Werner Kern Model Ulla Black Leather dancing shoe with a small toe opening. The shoe has individually adjustable crossed instep and heel straps offering a perfect and extremely comfortable fit. Enjoy the very highest degree of comfort thanks to the soft glove-quality nappa leather. Soft glove-quality nappa leather that provides a particularly gentle and supple fit. If you have any questions about this product by Werner Kern, contact us by completing and submitting the form below. If you are looking for a specif part number, please include it with your message.